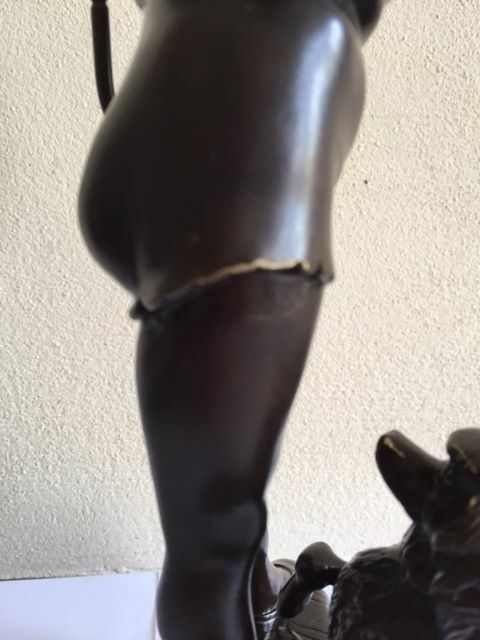 In good condition with normal wear and tear. 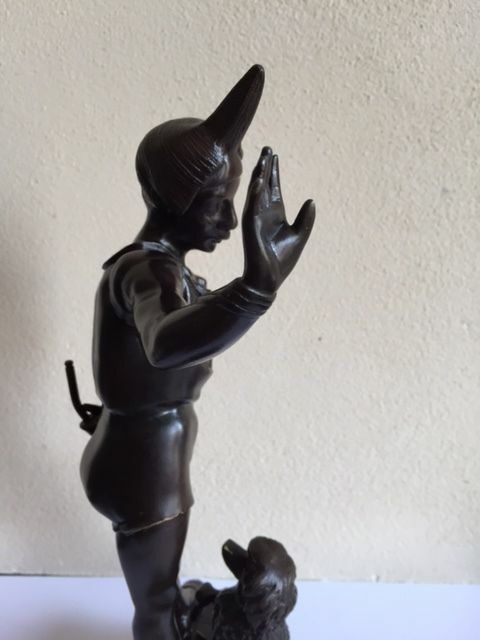 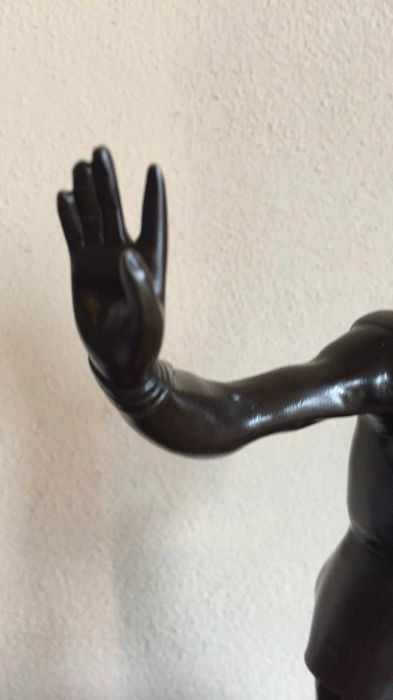 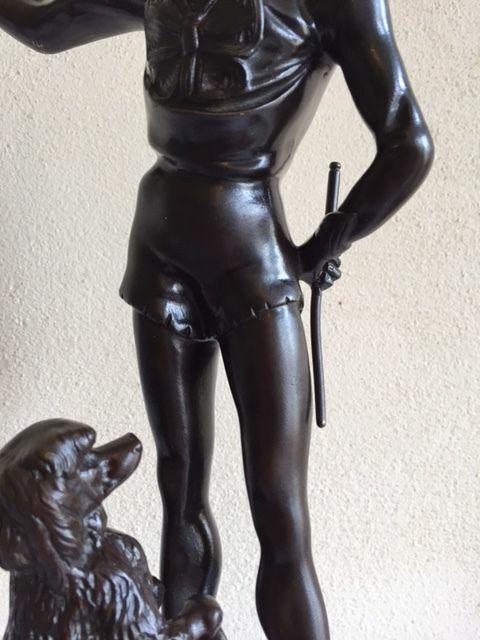 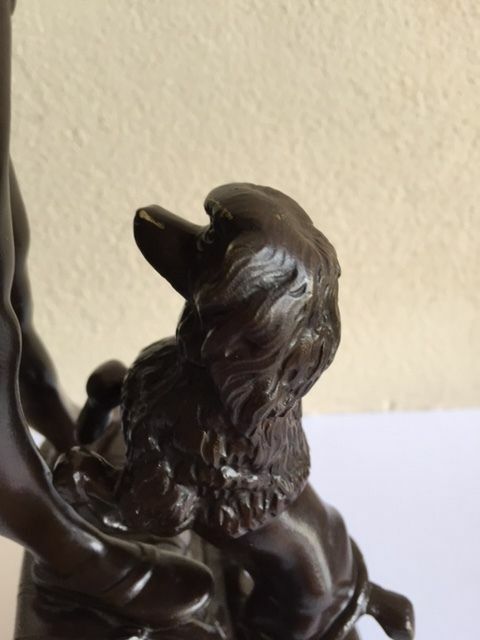 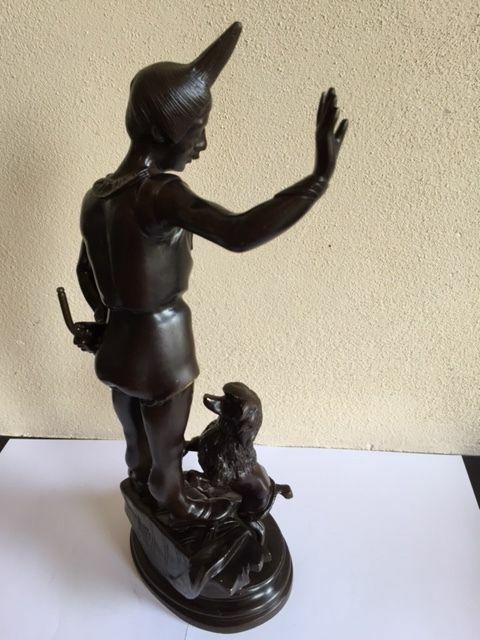 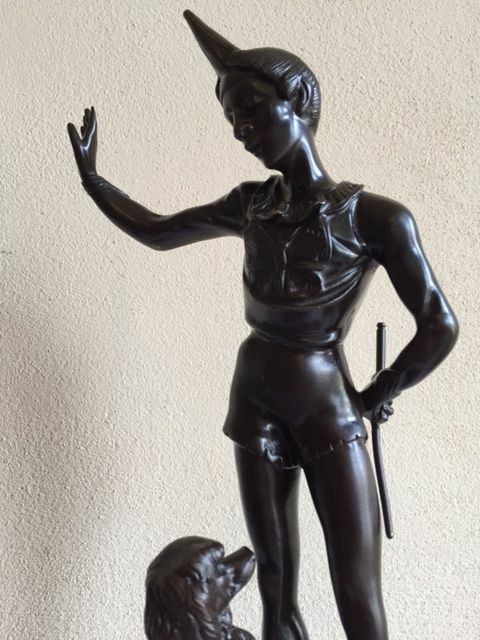 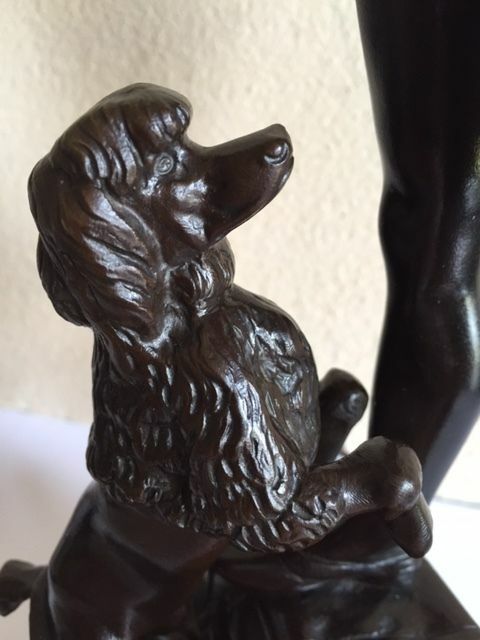 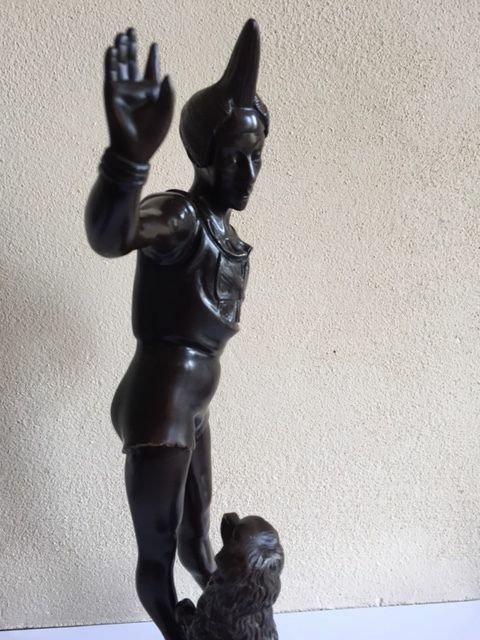 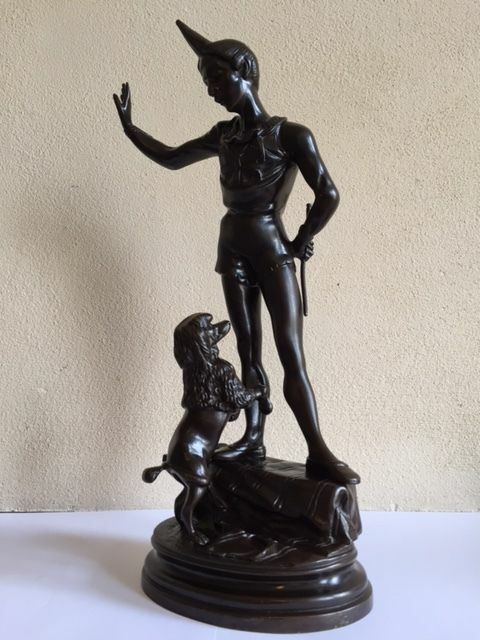 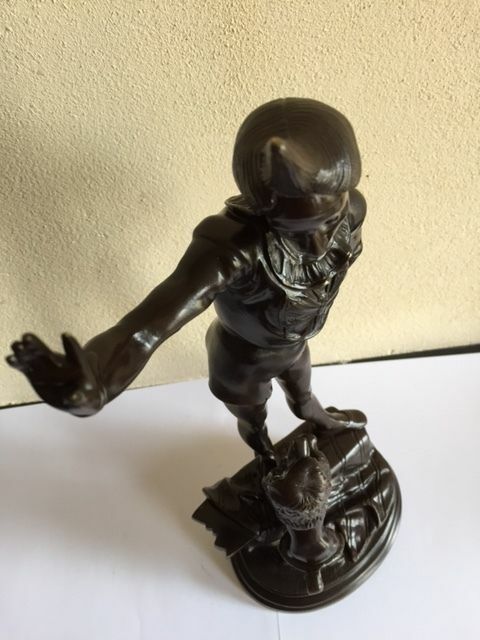 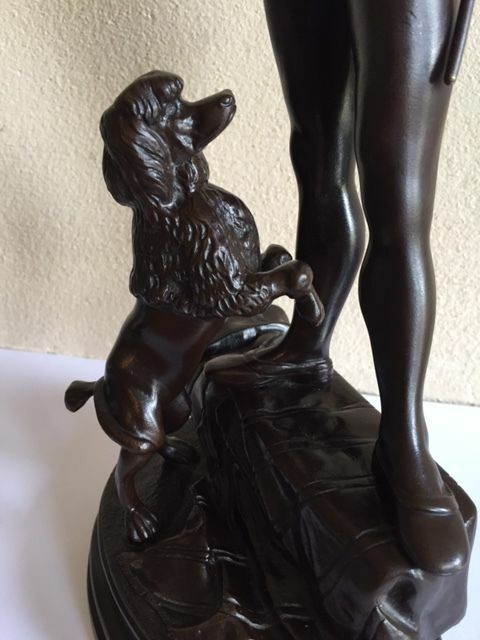 A beautiful bronze statue of a trainer with dog. 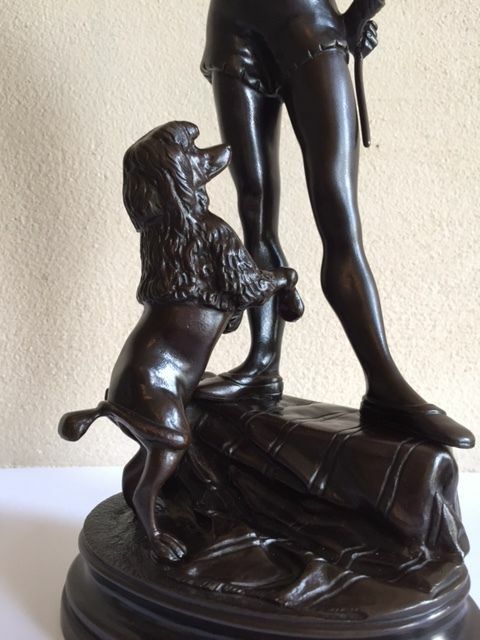 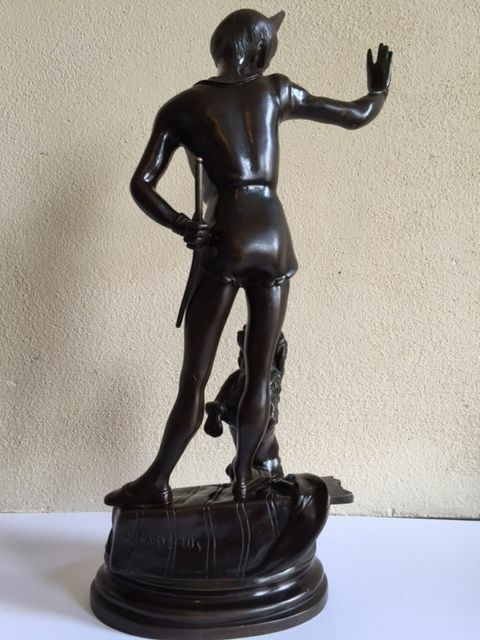 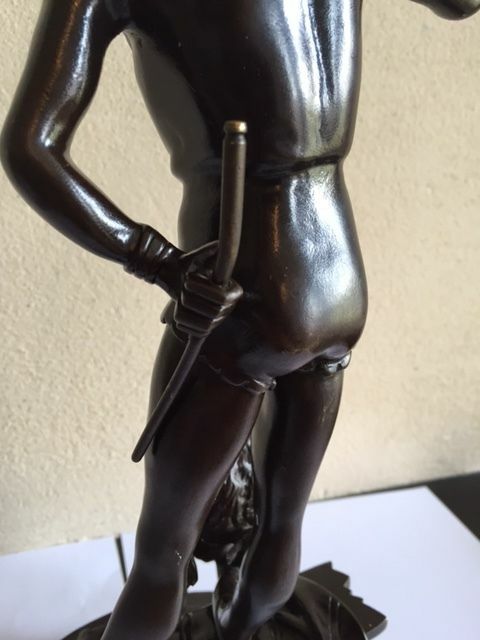 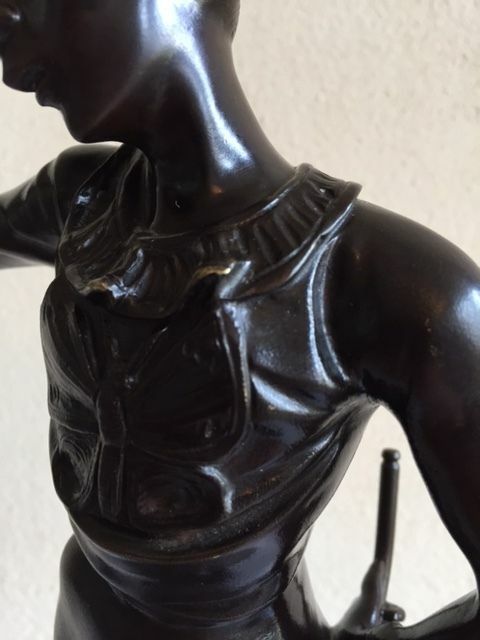 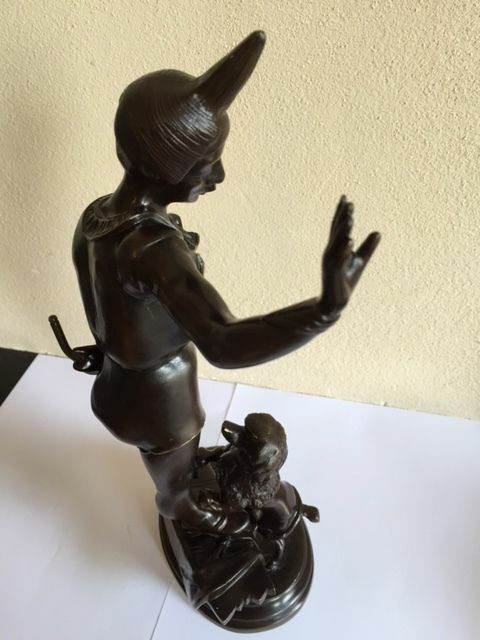 Made after a model of Alfred Barye (Paris, 1839-1882) around 1920. 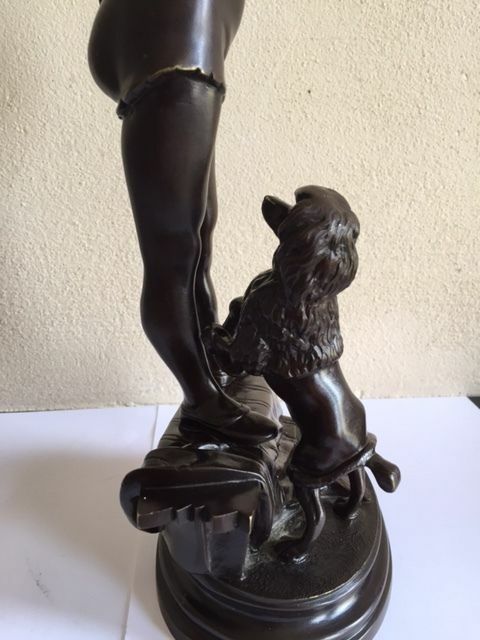 Signed on the base. 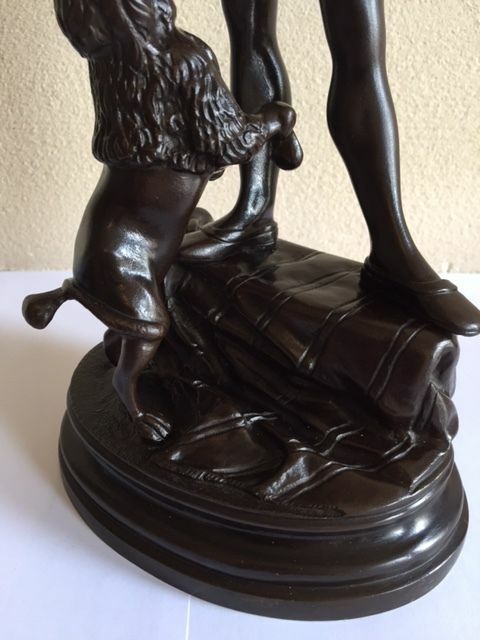 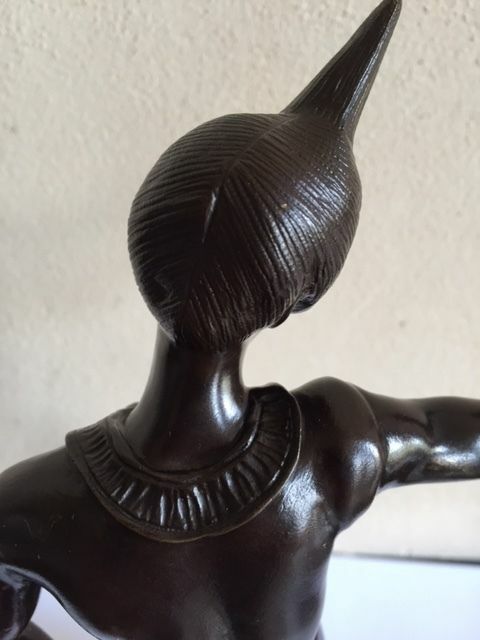 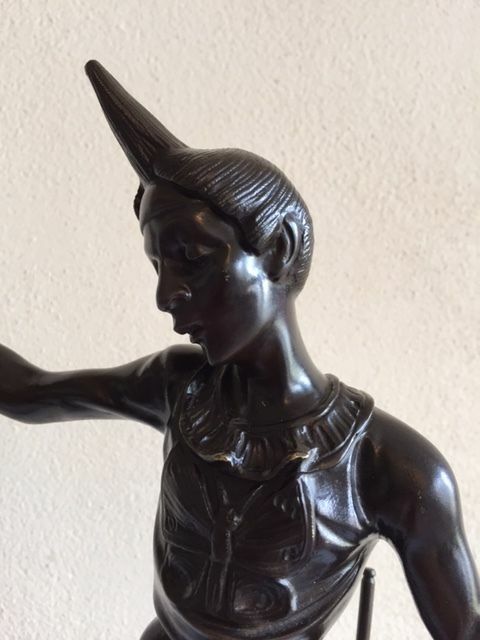 Alfred Barye was specialized in bronze sculptures of animals and orientalist performances. 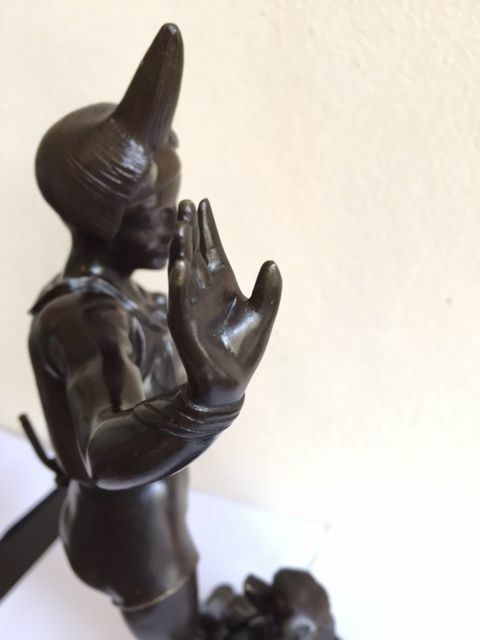 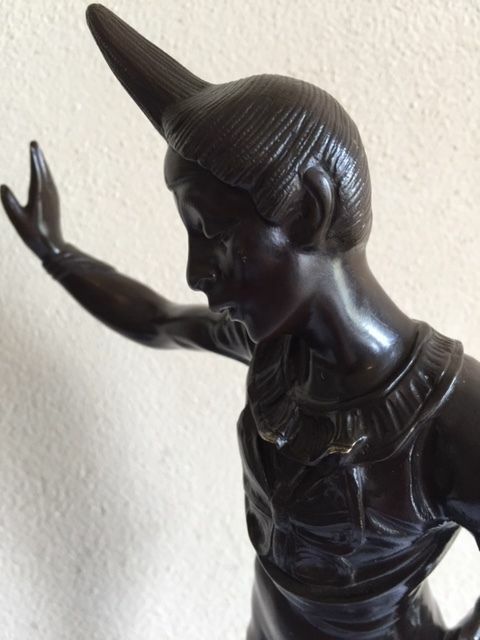 His statues are on display in museums such as the Louvre in Paris, Musee d’Orsay and the Brooklyn museum in New York. 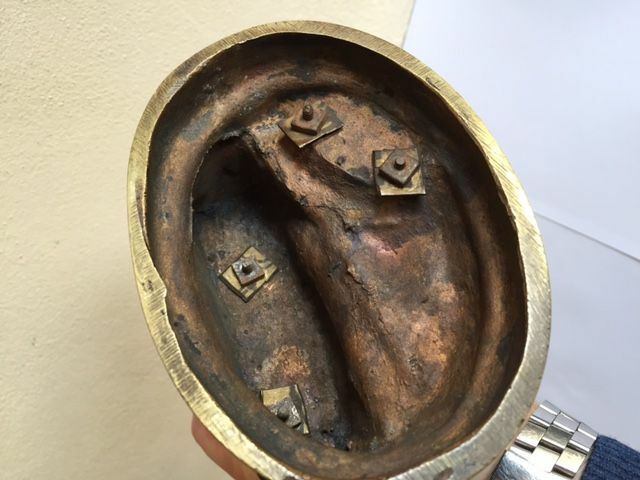 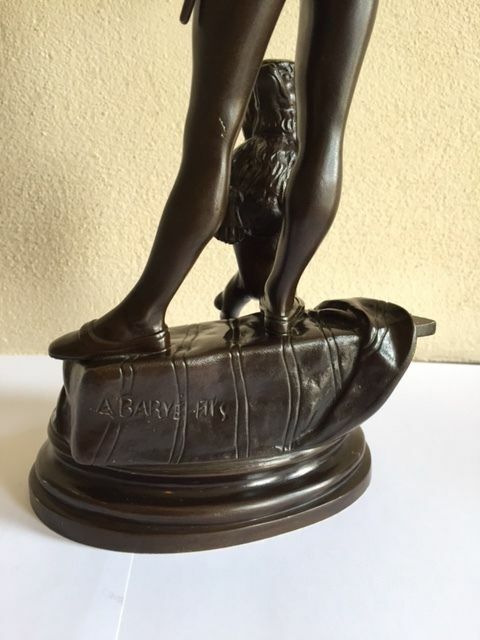 Alfred Barye learned the trade from his famous father: Antoine Louis Barye. 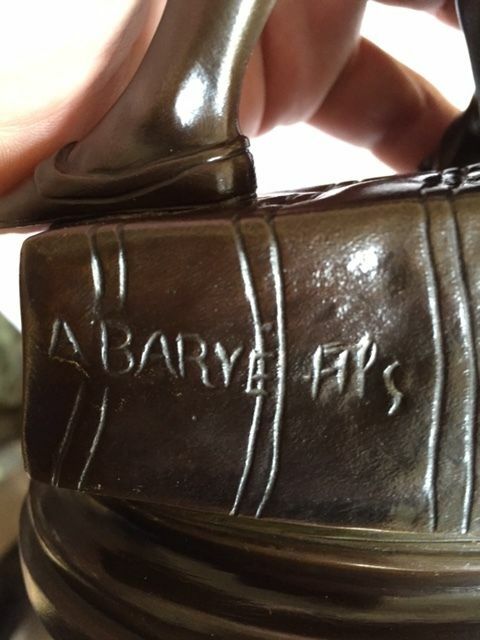 At his request, Alfred Barye added Fils (son) to his signature.